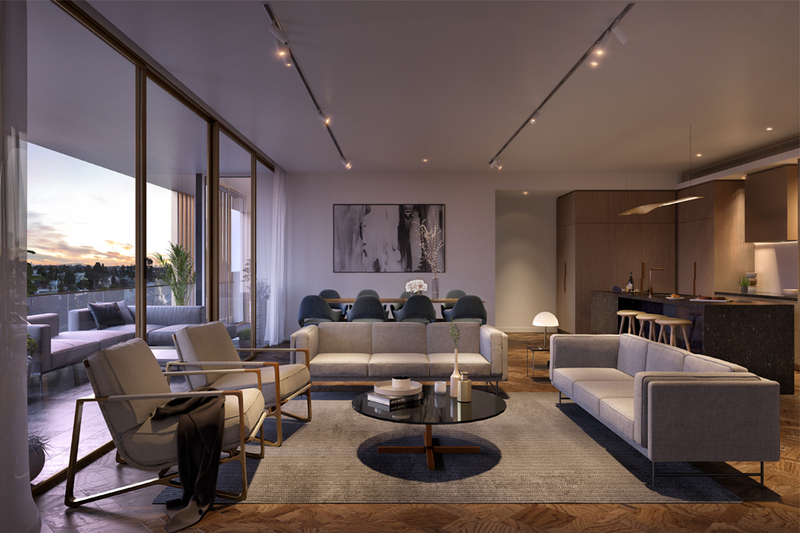 For the featured conceptual project, Hillam Architects strove to establish a new benchmark in superior apartment living. Located in Floreat, Eden offers an enviable lifestyle and an incomparable level of luxury. Showcasing a modern interpretation of post-war international architecture, the design is largely informed by the rich historical context of the site, and is situated in close proximity to urban nodes, infrastructure and amenities, as well as a park. With construction expected to commence in late 2018, the project consists of two buildings separated by a pedestrian access way. The west building includes five levels, while the east building spans four levels. 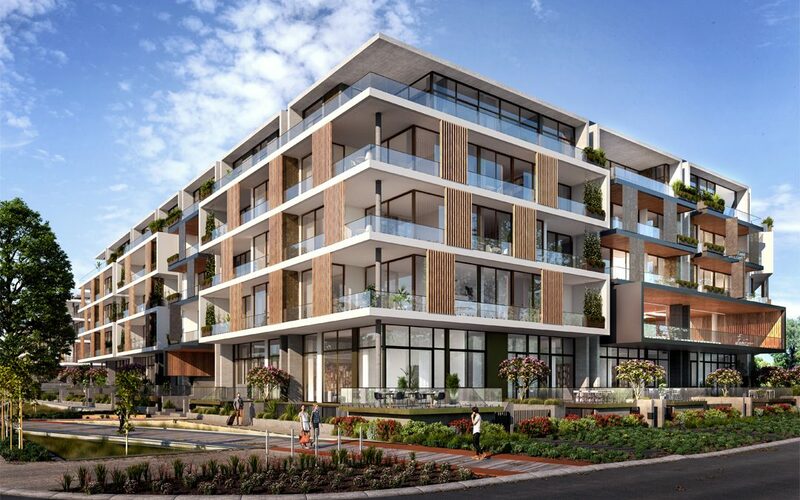 Comprising luxury apartments, townhouses and penthouses, the buildings will be integrated into the existing urban fabric and engage effortlessly with the streetscape. 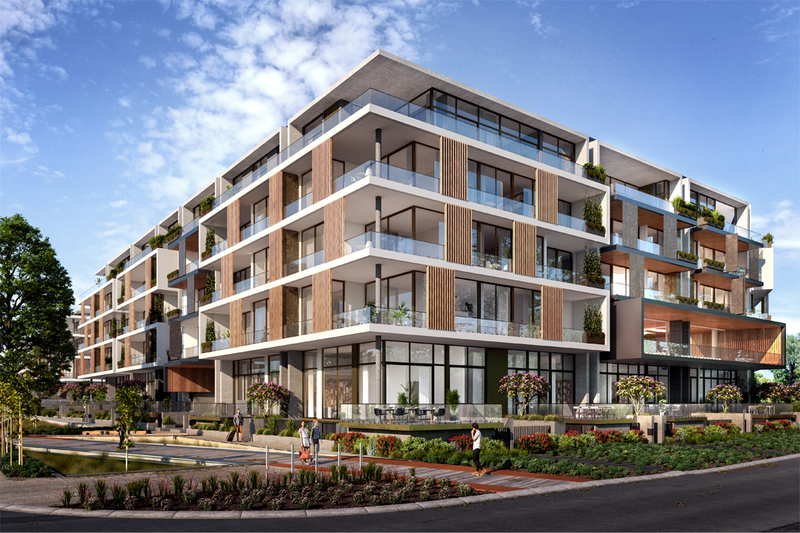 Forming the development’s base, the ground level includes townhouses that feature terraces, planter boxes, low walls and fences. The frontages are situated away from the setback line, which allows for a generous landscaping design that complements the existing urban scenery. Featuring a strong rectilinear composition, the middle level includes residential balconies that sit behind a predominantly white façade. At key locations, the façade is interrupted by dark-coloured vertical elements, while carefully positioned screens provide shade for the outdoor spaces. Complete with striking concrete framing, the upper level is set back from the main building line. Selected for its integrity and simplicity, raw concrete is showcased throughout the design, and complements the unique composition of the façade. 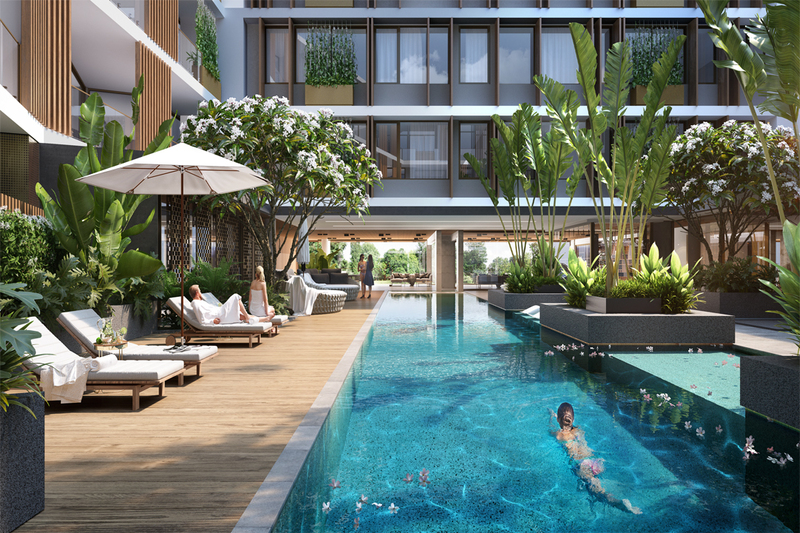 The environmentally friendly development contains a diverse range of luxurious and contemporary amenities, including a gymnasium, theatre room, wine lounge, and a 25m-long swimming pool, as well as two spas, a steam room and a sauna. Based in Subiaco, Hillam Architects is a progressive and innovative architectural firm that specialises in stylish and imaginative designs where form and function work together in perfect partnership. 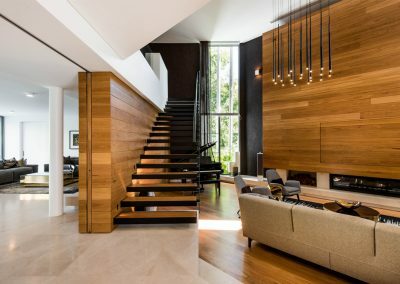 With an enviable portfolio that’s blossomed over the last 20 years, Hillam Architects enjoys a high-profile reputation in the high-end residential design industry.